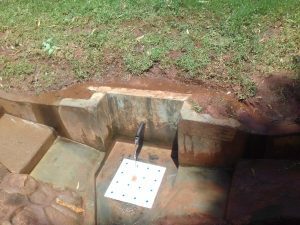 We have been able to get clean, safe drinking water for our household chores compared to the days when our water was contaminated which was a risk to us. 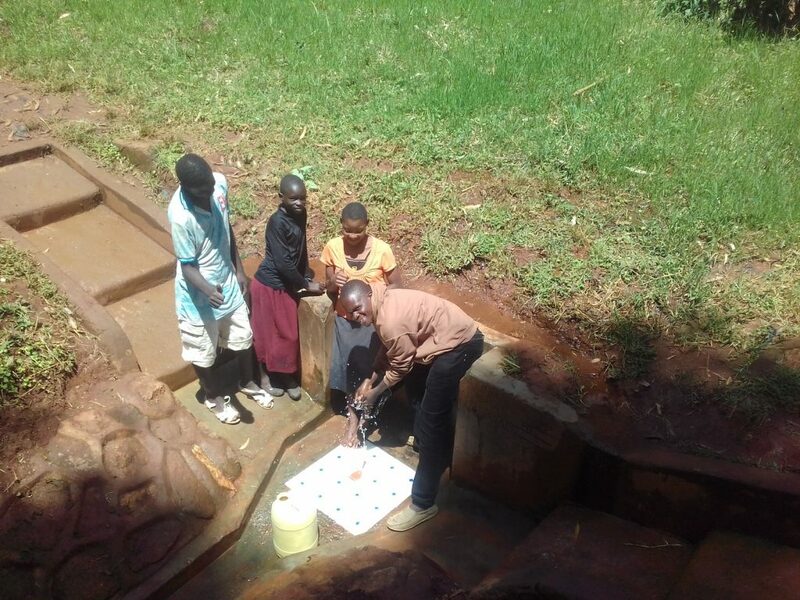 A year ago, generous donors helped build a spring protection with the community surrounding Givunji Spring in Western Kenya. Because of these gifts and contributions from our monthly donors, partners can visit project sites throughout the year, strengthening relationships with communities and evaluating the actual water project. These consistent visits allow us to learn vital lessons and hear amazing stories – we’re excited to share this one from our partner, Samuel Simidi, with you. There has been a tremendous improvement in the life of the members of the community that include: (i) Members have been able to save on time at the spring as it is accessible and convenient for them, (ii) Cases of water related diseases is now a thing of the past – attributed to the clean, safe water available for them, (iii) Members have been able to observe personal hygiene – attributed to the training they underwent on health and hygiene and also (iv) the members lives have improved since the formation of the group from where members are able to get loans to improve their businesses. 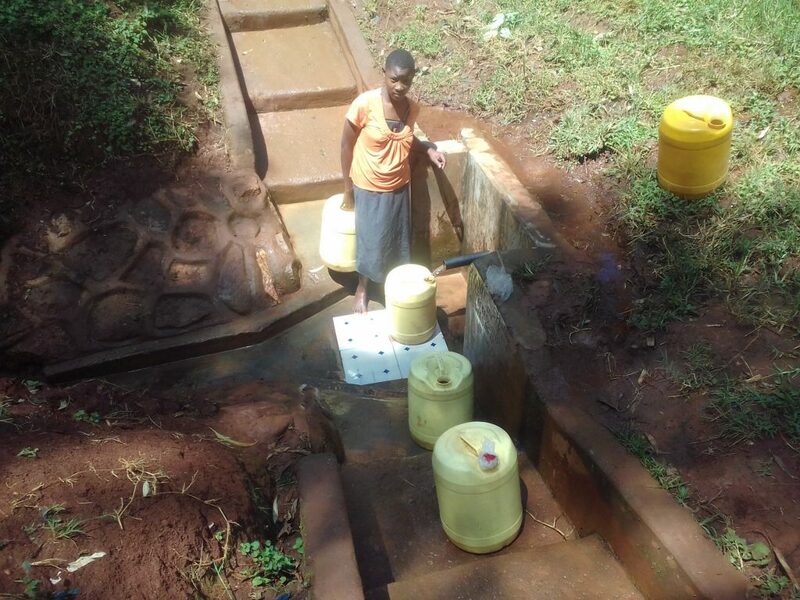 The members are a happy group, grateful for the water project carried out in their village. Members of the community still need more training on spring protection and maintenance. From our visit at the spring, we did find the spring dirty and also the members were stepping on the water catchment area which is prohibited. We took the initiative to encourage the members to clean the spring and to fence the catchment area which they agreed to do so. When you invest in The Water Project, you're investing in people like Sarah. 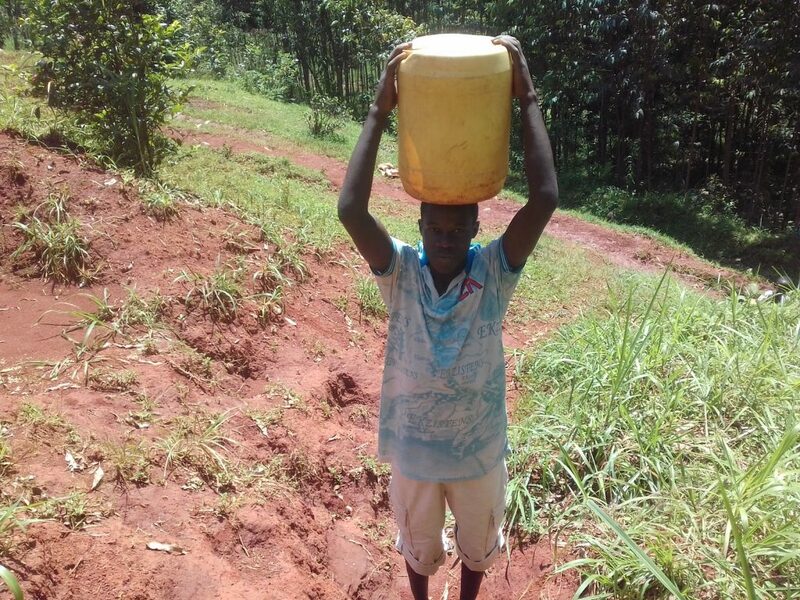 Your gifts help us reach more communities with the gift of clean, safe water. And every drop helps unlock potential.